Books from the Michigan State University Libraries will soon be digitized by Google to become part of the Google Books website. Google Books has digitized millions of titles from university libraries and indexed the contents so users can search across the entire set. 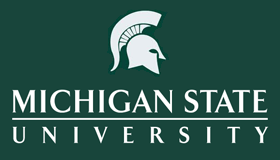 MSU’s participation is part of Google’s contract with the Committee on Institutional Cooperation, a consortium of Midwestern universities. MSU shipments will continue until the summer of 2014. Books that are in the public domain – generally those published before 1923 – are available in full text so the user can read the book online. For titles still protected by copyright, the user is shown a few lines before and after their search term, with links to purchase the book or find it in a library. The books digitized from CIC libraries are also available through the HathiTrust Digital Library, a partnership among 71 university libraries. MSU Libraries Director Cliff Haka explains the importance of projects like the Google Books digitization.